I feel like rewatching the series (or some parts of it at least) so I'm downloading the whole thing then gonna seed it until eternity. Just like I do with Ookami-san. I don't see any seeders for the Manga torrent. If someone can please seed, id appreciate it. Hope you post more often than just this once. It's not hard to make links completely invisible to newbies. No its by Soldats and its like 40 minutes. It's missing the GTR vs fd3s and the final fc vs ae86 battle. The order is weird also. It goes fc vs ae86 then rain battle then snow battle then back to emporer battle. Thanks for the share. I can finally see how this ends I fell behind when fifth stage came along because I couldn't find any subs. And I had since lost the CDs I burnt off the original four stages its good to relive the excitement again! 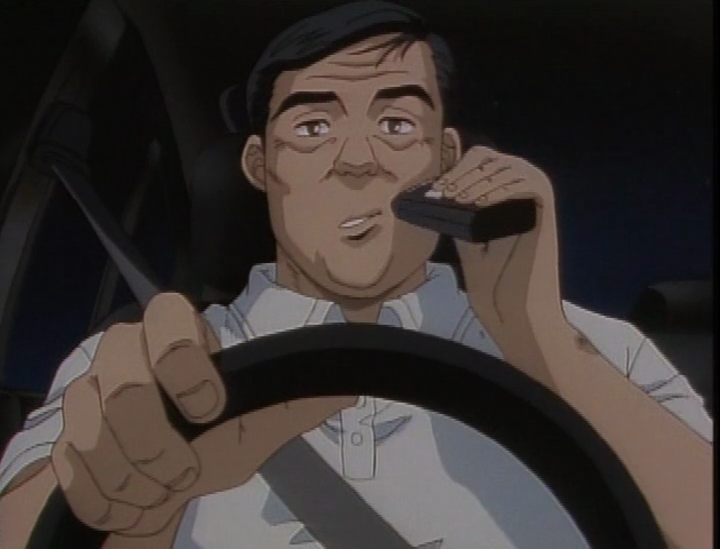 I'm new to the Initial D world! Thank you very much! I'm 21 I don't know how it is possible that during all my childhood I missed this amazing anime! Btw, I can't download the manga ! I downloaded it from there some time ago and I had no problems. The torrent should have all of the volumes and chapters but some of those are with English translation names. Thanks a BUNCH for this topic. My external hd is a RAW format now so I can't get in it. So i'm downloading this one instead of episode by episode or season by seaon. Image size reduced, original size: 720 x 549. Click here to view the image in its original dimension. 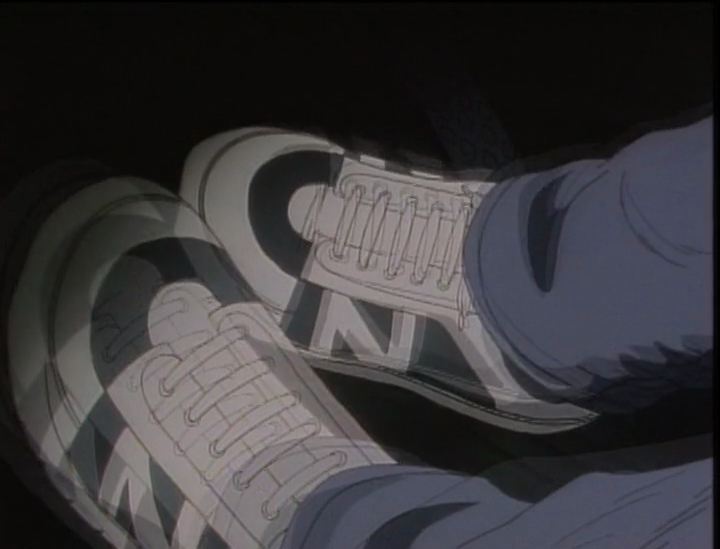 Ghosting is caused by using the wrong deinterlacing algorithm, since it is possible to recover the original 24 fps animation, with no blending between frames. On the other side are the CGI parts, which are natively rendered at 30 or 60 fps -- I can't exactly tell because I haven't seen the DVD source, but if as I suspect, the CGI animations are also interlaced, I could get them back into full 60 fps, because there exists another deinterlacing method for that. But these defects were introduced in Funimation's production process and the rippers are not to blame for them. At this point I remind that the TokyoPop DVDs are said to have better video quality, and thus if somebody could share a sample I could try making a better quality release of the series. So, if you want to help, please PM me! 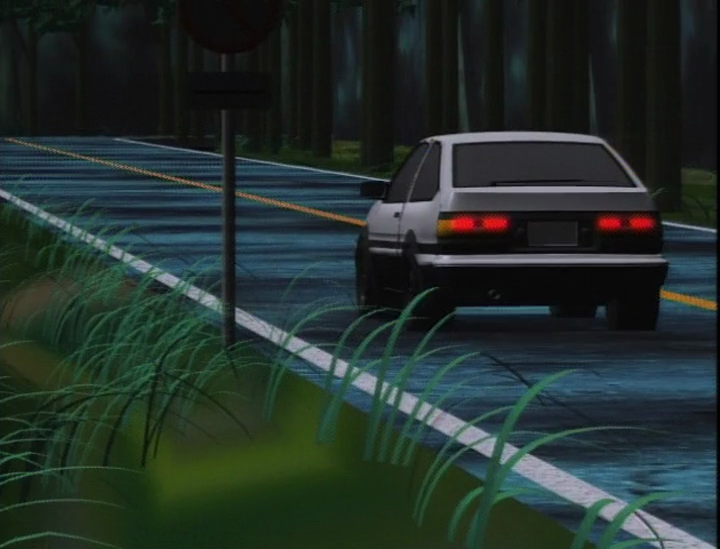 So I'd advise not just the TokyoPop DVD's (as I've heard they got better quality too) BUT the very first instance of Initial D for Digital ie. → try & find the earliest instance of Initial D on laser disc and/or DVD's ... via someone in Japan that can go to those hole in the wall rental or Mandarake~like Book-Off stores that could have the original Jap pressings! On the other side are the CGI parts, which are natively redered at 30 or 60 fps -- I can't exactly tell because I haven't seen the DVD source, but if as I suspect, the CGI animations are also interlaced, I could get them back into full 60 fps, because there exists another deinterlacing method for that. As I recall, the ghosting is still just as bad in the DVDs themselves. If no one else steps to the plate, I might rip one of mine, just to see for sure. As I recall, the ghosting is still just as bad in the DVDs themselves. That's normal. When converting animation (24 fps) to NTSC standard (30 fps), some frames are repeated or mixed. In playback, this results in ghosting. But it's totally soft ghosting, it can be reversed (if, and only if the video is still interlaced -- that's why I need a original VOB file). It's unusual to find unremovable ghosting in NTSC releases. That would mean the production team was very inexpert. More info here. Obscure standards are not frequent in the world of TV broadcasting. In fact, for I know the standard is 30 fps interlaced, it could contain a 60 fps animation. That's what all of us would like to do XD but since it might be a difficult search I prefer trying with what we already have in first place.